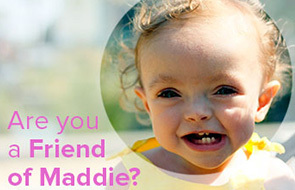 On Saturday, Maddie had the tiniest beginnings of a rattle in her chest. It almost sounded more like she had something in her throat, and she could just clear it, she’d be fine. When she’d cough, the rattle would go away, so we figured she was breathing through all the saliva that comes with teething….